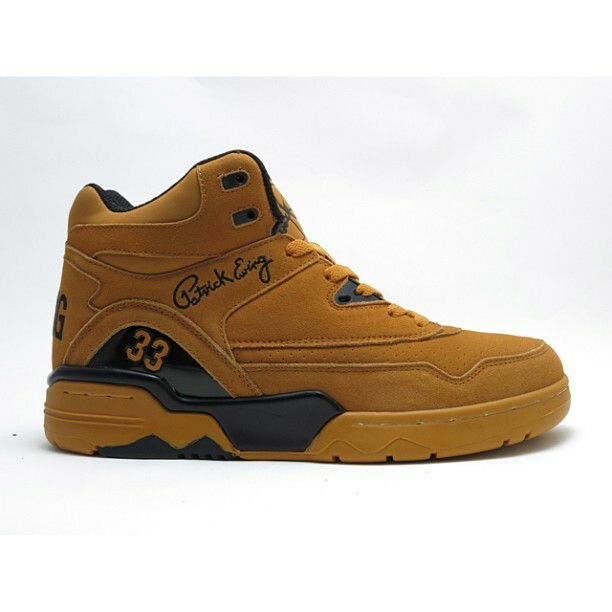 Ewing Athletics reveals their next retro release, the Guard, coming this Fall. Ewing Athletics just revealed their next retro release coming this Fall, the Guard, shown first in a 'Mustard' suede make up. We get our first look at the Guard by way of the official Ewing Athletics Instagram, and we can see the shoe will return in at least one original colorway with this version in Mustard. The Guard features a similar construction as the 33 Hi, but with a lower cut more suitable for guards (hence the name). Take a first look at the Guard in Mustard below, and expect more colorways to previewed soon from Ewing Athletics.